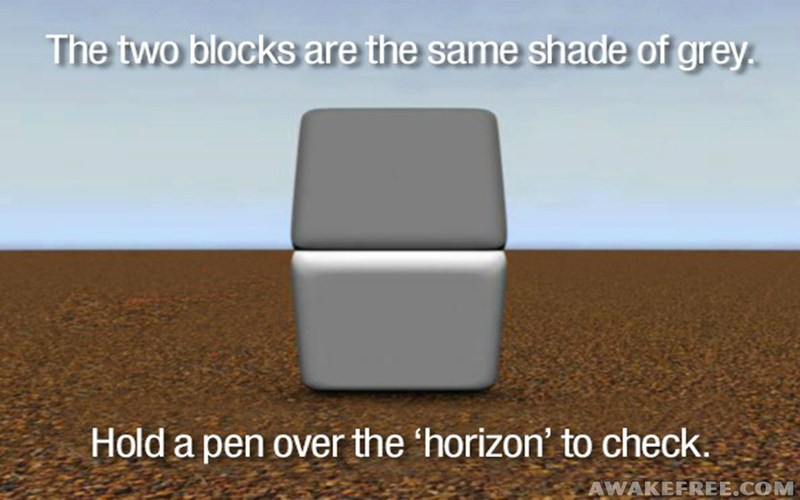 It's All About Perspective - Optical Illusions & How We See the World » Awake Free! This video is just an intro of a 2 hour workshop looking into how our perceptions shape what we experience. The optical illusions from the video are included in the article for a closer look. The talk was at medical conference where a lot is discussed about the body and medical solutions. But it’s about time we talked about what’s going on in the brain and how we perceive the world which can greatly affect our quality of life. The greater part came after this intro, hearing patients share stories and different perspectives of what’s possible in life in spite of physical challenges. We may think we are merely observers of a pre-determined reality out there. But the more we look into the brain and how our perceptions work, the more we realize that our experience of reality is largely subjective. On a very physical level, we learn how to see when we are young. We learn how to define colors and shapes for example. We learn how to determine dimension, distance, and so much more. We also learn the meaning of what we see, how to define things, and how we define ourselves. Truth is, our senses only pick up a sliver of information from the world. 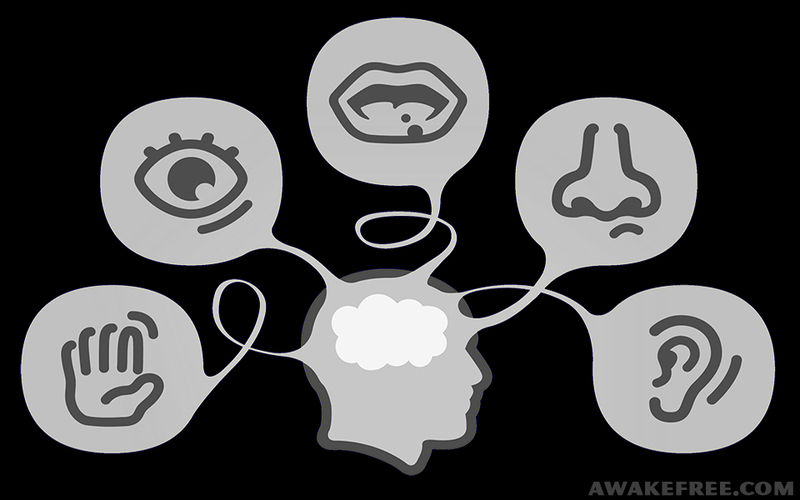 Whatever limited sensory information we do pick up, is taken to different parts of the brain and put together or translated into what you experience. Since we only pick up a slight bit of information from the world, the brain relies on what we’ve learned from past experiences to fill in the blanks and make assumptions about reality to create the experience you are having. This is why different people can have radically different perspectives of the same situation. They are literally having different experiences. 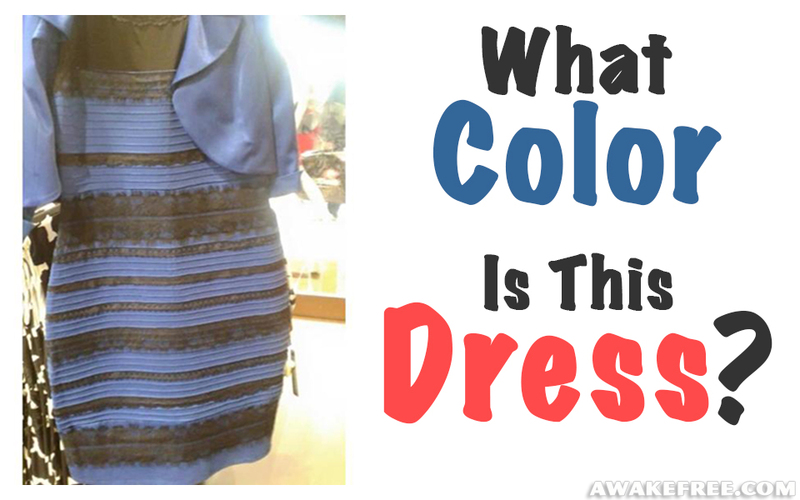 The Dress that took over the internet is a great example of how people can see things so differently. We have very little information from the picture itself about the lighting and environment where the photo was taken. Depending on the background information you pick up and your memory of how light and color work, you make an assumption about the color of the dress. It happens so automatically that we consider our experience to be undeniable reality… Until we are able to hear different perspectives. These squares may look like different shades, but try covering just the center horizon area and check again. This is a great example of how we take hints of information and fill in the rest of the picture. Around the horizon we see highlights and shadows. From there we infer what color the the squares must be. But cover up just that bit of leading information and things appear different. 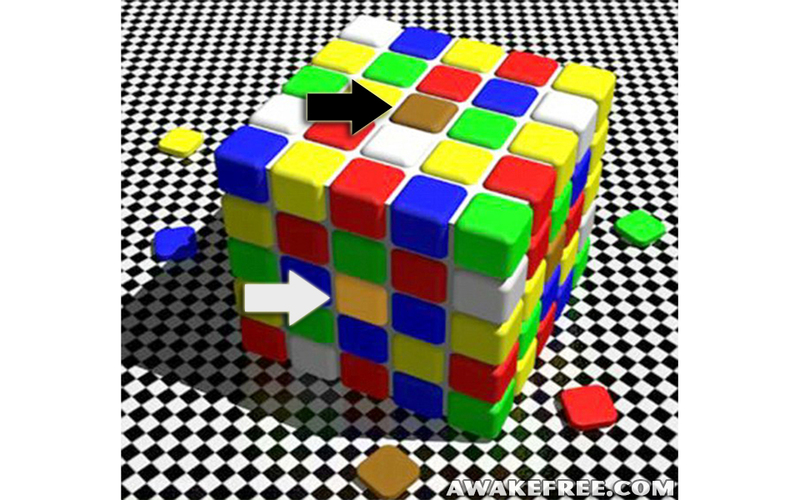 The Color Cube is a great example of how our brain can create what is not even there. 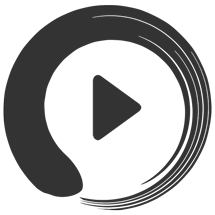 Notice the two squares where the arrows point. The top one appears brown, the bottom certainly appears yellow or orange. 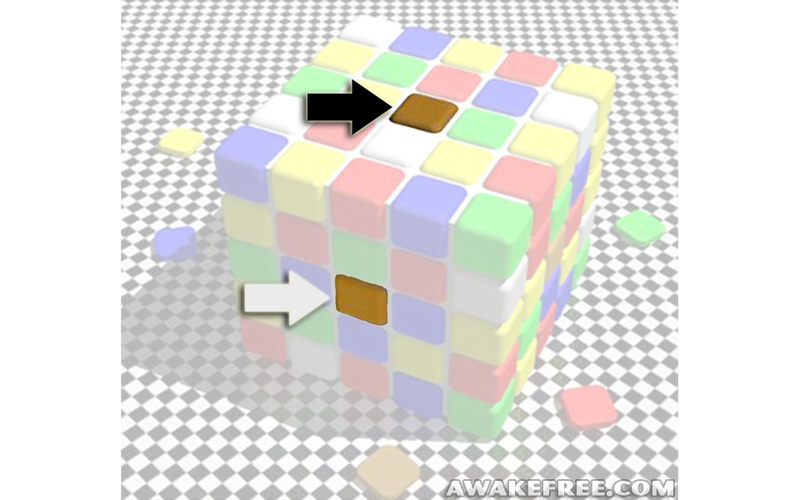 But these two squares are actually the same shade of brown as seen when the background is removed. Now this is not photoshop shenanigans. You can verify it by checking the hexadecimal color codes in photoshop. The two squares in question have the same hexadecimal color values. Believe it or not, the yellow / orange color is entirely put together in your brain. We’re taking background information, the shadow and lighting we see and inferring the color of that square to be yellow / orange. But once that background information is removed, the evidence appears of what is actually there. Our past learning and experiences are the background information or hints we bring to determine and define what we see. Likewise we bring meaning – our stories and narratives about what we see. Often times our stories are so interwoven over actuality that it can be a challenge to separate our experience from just the facts. 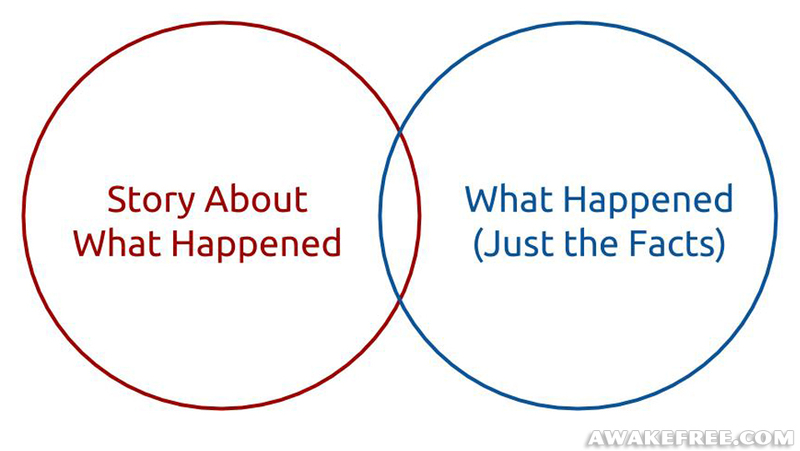 The thing to remember is that we know so very little about how things actually are and how things work. We don’t ever have all the facts. Everyone from teachers, doctors, experts, and peers only have a sliver of information which shapes their experience or paradigm which they speak from. When we recognize how little we know, it opens the door to wonder, inquiry and discovery of new possibilities. Perhaps it will lead us to re-examine what we thought is possible through talking to other people, hearing other perspectives, getting ideas, and creative solutions. In an upcoming article we’ll share some inspiring stories that came from this two hour workshop with patients that had radical changes in paradigms and formulated creative solutions to overcome challenges and explore their dreams.